Today, Thursday's Three features news about a trio of artist-related films that will be shown in Washington, D,C, as part of the Smithsonian American Art Museum's Summer Film Program. Seating in the museum's McEvoy Auditorium is first come first served. Tickets are not required. ✦ Julie Taymor's Frida (2002) screens on July 16, 3:00 p.m. - 5:00 p.m. Salma Hayek portrays Kahlo (1907-1954) and Alfred Molina plays her husband Diego Rivera (1886-1957). The 123-minute film also starts Antonio Banderas, Edward Norton, Ashley Judd, and Geoffrey Rush. ✦ The 46-minute documentary Day on the Grand Canal with the Emperor of China (Milestone, 1988) screens August 6, 3:00 p.m. - 4:00 p.m. 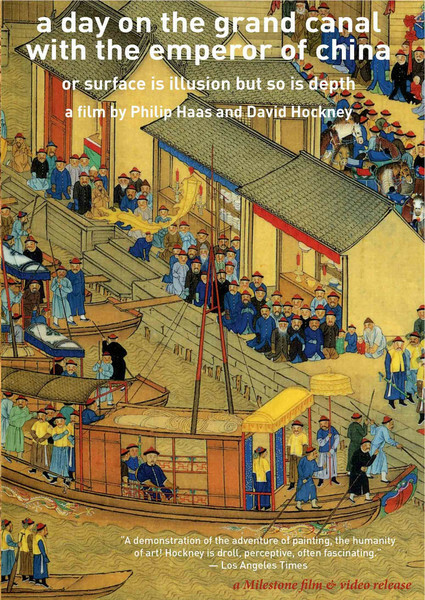 Directed by Philip Haas, the film is narrated by painter David Hockney, who traces Emperor Kangxi's 1689 tour through his southern empire as depicted in a 72-foot 17th Century Chinese scroll by Wang Hui, titled The Kangxi Emperor's Southern Inspection Tour (1691-1698), scroll seven. Listen to Hockney discuss the documentary. ✦ The documentary Running Fence screens August 20, 3:00 p.m. - 4:00 p.m. The 75-minute film, directed by Albert and David Maysles, is about Christo and Jeanne-Claude's plan to build a 24.5-mile fence over the hills of Sonoma and Marin counties in California, an artistic project that met with support as well as considerable opposition. Ultimately, the project (1972-1976) was realized. View Running Fence images and other documentation. The art project was the subject of the exhibition "Christo and Jeanne-Claude: Remembering the Running Fence" at SAAM in 2010. The exhibition was accompanied by the short Christo and Jeanne-Claude's Running Fence. I'm not interested in straightforward depiction . . . It's more about the psychological usage. . .
of going beyond the image, of trying to get something else. . . .
Graham Dean, who exhibits the world over (he has had more than 50 solo shows), is a painter who uses the body "to characterize the identity of a character—from the inside to the outside." It is through the figure that he seeks to evoke and convey memories, ideas, and emotions. In the trailer below, from the 180-minute documentary Waterproof* (2015), Dean demonstrates his "reverse archaeology" technique that produces "reinvented" watercolors. As explained on his Website, Dean separately applies contrasting layers of watercolors to porous sheets of thick, handmade paper from India; he subsequently tears into sections versions of the same composition and then reassembles or "jig-saws" various sections together, as one would a collage, to create his final, haunting, and often stunningly beautiful work. Dean's idea is to evoke not only a sense of bodily fragmentation but also to create something entirely new from what has been destroyed. Each such work is open to interpretation but the figure or parts of the figure remain recognizable. To produce depth and intense color, Dean uses multiple transparent layers of paint glazes. Part 1, below, of Falling between the floorboards, which documents Dean's life and work, was filmed at Dean's studios in Brighton, England, and Umbria, Italy. For the remaining parts, see the Videos section of Dean's Website. 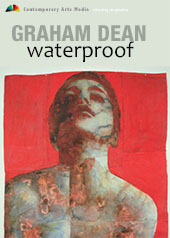 View a selection of Graham Dean's series of paintings. Dean is represented in the United States by Salamatina Gallery in New York City. He is represented abroad by Waterhouse & Dodd, London; Frans Jacobs Fine Art, The Netherlands; Edinburgh Printmakers, Edinburgh, Scotland; and Artizan Editions, Gloucestershire. My thanks to Artfilms, where I discovered the preview to Waterproof. Based in Melbourne, Australia, the company makes films about artists and artworks, the visual and performing arts, the healing arts, and more. It's tagline is "educating [the] imagination". Below is a promotional and poetic video for Dadirri: A Gift to the Nation, directed by Pip Gordon (The Gathering Tree). 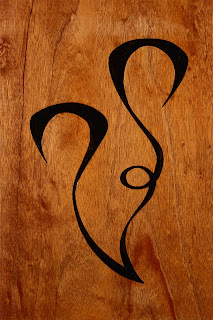 Dadirri is an Australian Aboriginal spiritual practice intended to help an individual overcome and heal from trauma. As Aboriginal artist, educator, and public speaker Miriam-Rose Ungunmerr-Bauman explains, by listening in "quiet still awareness", one can re-connect deeply with one's land, self, and others, and thus be made whole again. The film is in production and expected to be released in 2017. The next video is the trailer for the documentary Deep Listening: Dadirri | The Secrets of Life in Relationship (Living in the Future). For the film, director Helen Iles traveled through Australia, visiting communities that intentionally practice a kind of "alternative living" and talking with Indigenous leaders including Ungunmerr-Bauman, who explain how deep listening can be used to resolve conflict, make difficult decisions, and create sustainably harmonious communities. The film is available on DVD as part of a set of three documentaries that includes Ecovillage Pioneers and Lammas. Deep Listening: Dadirri can be seen in its entirety on Vimeo (scroll to end of page). Learn more about dadirri in this article at Ultra Kulture (Life Like Legends). ✭ Maggie Smith's "Good Bones" in Waxwing, a literary journal that publishes three times a year (October, February and June) Note: A limited-edition broadside of "Good Bones" is available from Tupelo Press. The poem is included in Smith's forthcoming collection Weep Up (Tupelo Press, 2018). free of them. Break the story. . . .
What is the Great Song for you? Today's short is the trailer for a three-part documentary series in development, In Search of the Great Song (Song Without Borders), which explores and celebrates the universality of spoken word, sound, and music in different cultures and traditions. Michael Stillwater and Doris Laesser Stillwater co-produced the series, which also includes SongRise: Beyond the Fear of Singing (2017) and Songmakers: It's in Every One of Us (2018). 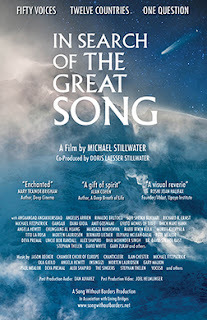 Among the speakers in this trailer are poet Dana Gioia and Brother David Steindl-Rast. ✦ New York-based artist Ida Applebroog is the subject of a new film Call Her Applebroog (Zeitgeist Films, 2016) from Applebroog's daughter, director Beth B. The 70-minute documentary received its world premiere in February at MoMA's "Docs Fortnight". ✦ Santa Fe's Folk Art Market Week, sponsored by the International Folk Art Alliance, is July 7-10. 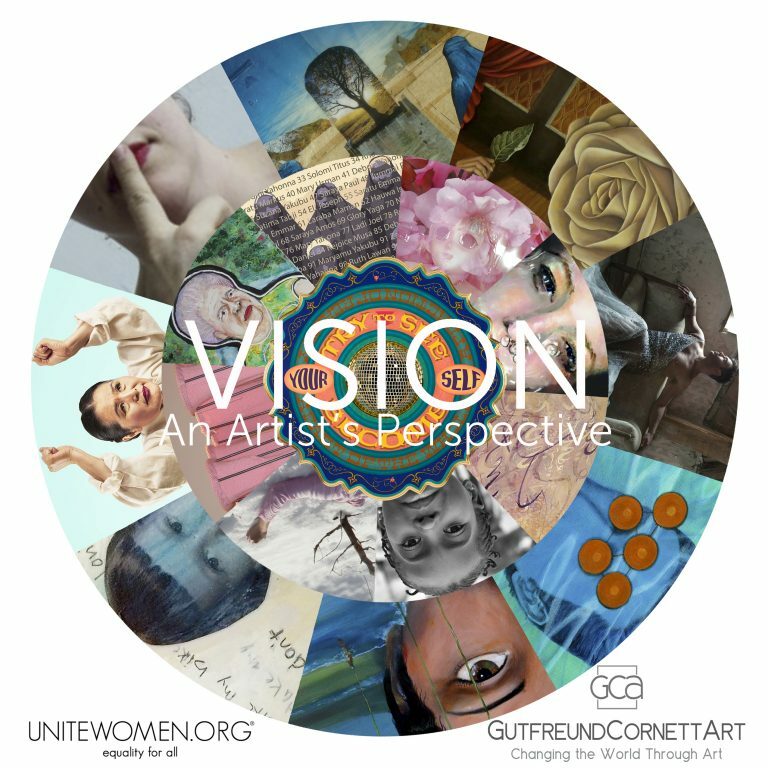 This is the 13th year of the event, and it will feature nearly 200 juried artists from around the world (approximately 40 percent of whom will be new participants. Attendees will find jewelry, beadwork, metalwork, paintings, mixed media, sculpture, textiles, musical instruments, and more. Read about the 2016 featured artists. ✦ Watch this excellent short film The Artist Toolbox - Sam Gilliam, about the lyrical abstract expressionist associated with the Washington Color School. The film was produced for John Jacobsen's fine series "The Artist Toolbox". The Artist Toolbox - Sam Gilliam from The Artist Toolbox on Vimeo. ✦ If you're planning a visit to Chicago this summer, or live there and enjoy the museums, check this list of arts institutions that are waiving admission fees. ✦ Below is the trailer for Don't Blink - Robert Frank, a documentary about the photographer (The Americans) and filmmaker, directed by Laura Israel. The film is to premiere in theaters this summer. ✭ The National Gallery of Art, Washington, D.C., is presenting through January 2, 2017, "Intersections: Photographs and Videos from the National Gallery of Art and the Corcoran Gallery of Art". On view are highlights from the two merged collections by artists from the 1840s to the present. The show is arranged thematically (movement, sequence, narrative, studio, and identity) to reflect the collections' connections as established in the work of Eadweard Muybridge and Alfred Stieglitz. ✭ Work by sculptor Martin Puryear, one of my favorite artists, is on view through September 5 at Smithsonian American Art Museum, Washington, D.C. 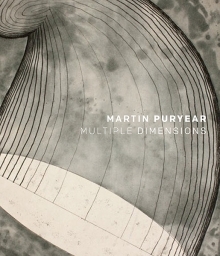 Organized by Art Institute of Chicago, where it was presented earlier this year, the exhibition, "Martin Puryear: Multiple Dimensions", includes work being shown for the first time, as well as artwork (including prints) and materials related to Puryear's Bearing Witness (1994) and Vessel (1997-2002), two local monumental sculptures. The latter is intended for the Smithsonian Museum of African American History and Culture, which is to open this fall. The former is at a General Services Administration building at Federal Triangle in the District. Of the 72 objects in the show, 14 are sculptures and 13 are from SAAM's collection. Approximately half are on loan from the artist. See the online gallery. A catalogue by Mark Pascale (see image below), featuring 140 color illustrations, accompanies the exhibition. The last public program related to the exhibition is August 4, 5:30 p.m.; it includes a gallery talk and walk. ✭ In Mt. Vernon, Illinois, the Cedarhurst Center for the Arts presents a survey of art created at the St. Louis, Missouri, Wildwood Press. 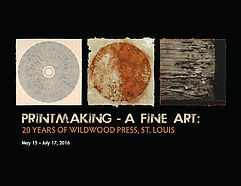 Continuing through July 17 in the Mitchell Museum Main Gallery, the exhibition, "Printmaking - A Fine Art: 20 Years of Wildwood Press, St. Louis", examines innovations in printmaking and papermaking at the press, which was founded in 1996. Some 65 works by 21 artists are on view. 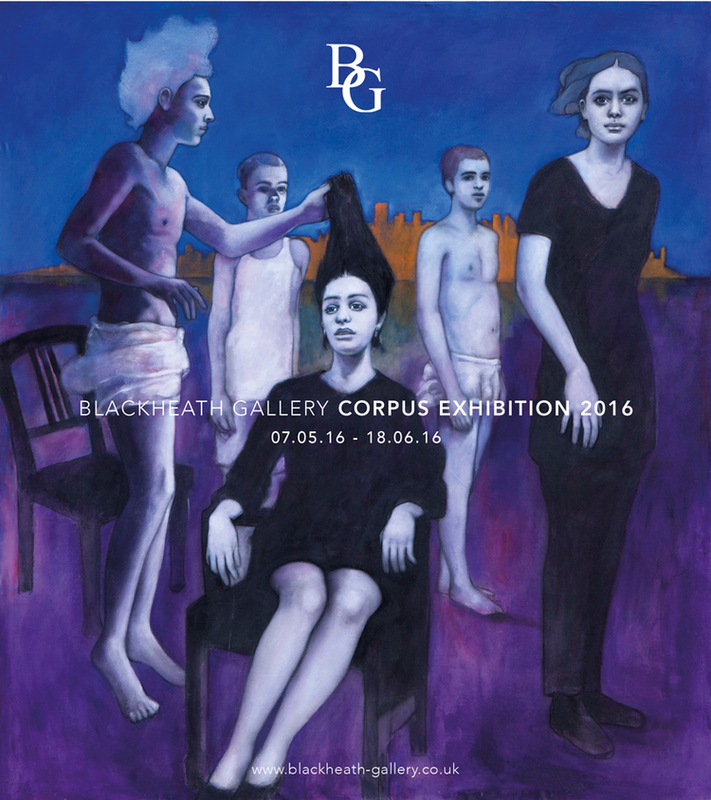 A catalogue accompanies the show and is available to view at the exhibition link above. View a slideshow at the exhibition link as well. ✭ On view at New York City's Museum of Arts and Design is "Eye for Design", which looks at MAD's graphic identity in the 1960s and 1970s as reflected in exhibition catalogues and related ephemera. Among international artists whose design work is featured are the late Emil Antonucci, John J. Reiss, and Linda Hinrichs. The museum has scheduled a number of workshops (July 22, August 12, and September 9) that features artists and designers from Kayrock Screenprinting. Information is available at the exhibition link above. ✭ July 9 marks the opening of "Randall Tipton: New Landscapes" at Coos Art Museum, Coos Bay, Oregon. The solo exhibition of water media and oil paintings continues through September 24 in the museum's Mabel Hansen Gallery. I take great pleasure in following the careers of the artists I have featured in my monthly Artist Watch column at the online arts magazine Escape Into Life. Today I share some recent news about six of the artists' activities. Congratulations to all! ✦ Amy Pleasant, Seattle, Washington (May 19, 2016, Artist Watch) ~ Amy's Voices in Her Head (2016), a mixed-media collage on cradle board, is in "Vision: An Artist's Perspective", at Kaleid Gallery, San Jose, California, through July 29. The exhibition is a joint presentation by UniteWomen.org and Gutfreund Cornett Art. View the online gallery and catalogue. Amy's piece is shown just above the UniteWomen logo. ✦ Noel Paine (August 20, 2015, Artist Watch) ~ Noel has made a process video about the creation of his oil painting Red Edge (2015/2016). Designed to answer the often-asked question, "How do you make a painting? ", the video was filmed at Noel's Vienna, Austria, studio. ✦ Sophie Ploeg (November 19, 2015, Artist Watch) ~ Three of Sophie's oil paintings, The Shawl, The Lying-in Room, and Looking Back, were included in the London group exhibition "Corpus" at Blackheath Gallery, May 7- June 8, 2016. Two works by Sophie appear in "A Realist Showcase" at Haynes Galleries, Nashville, Tennessee, through July 30. In addition, Sophie's new work appears in "Identity and Dress" at Harley Gallery, Nottinghamshire, November 5, 2016 - January 8, 2017. Images are at the exhibition link. 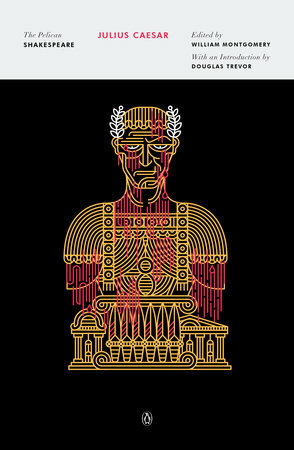 ✦ Manuja Waldia (February 18, 2016, Artist Watch) ~ This spring Manuja revealed the new covers for Julius Caesar and The Tempest, part of The Pelican Shakespeare Series of 47 titles that she's doing for Penguin Random House. ✦ Lucy Capehart (April 21, 2016, Artist Watch) ~ Blue Sky Gallery, Portland, Oregon, launched a special publishing initiative, Blue Sky Books, to promote photographers who have exhibited at the gallery. The books are available only through the publisher. 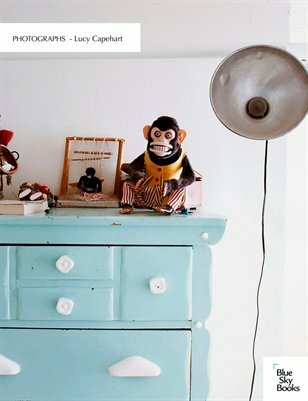 Lucy's 56-page monograph is Photographs - Lucy Capehart (see image below; click on preview link). I have a country but I don't have a home. A Garrwa/Yanyuma, Miriam Charlie, like many she knows, lives in dire poverty in Borroloola, a community in Australia's remote Northern Territory. Equipped with her camera, she began documenting her terrible living conditions and those of her friends and neighbors. The photos she made are part of an exhibition, "CCP Declares: On the Social Contract", which continues through July 10 at the Centre for Contemporary Photography in Victoria, Australia. The exhibition, including both emerging and mid-career artists, aims to "examine or extend the idea of social contract theory; the idea that moral and political obligations and rights are bound upon an intrinsic agreement amongst the various constituents of a society." Other artists participating in the exhibition are Mohini Chandra, Cherine Fahd, Katrin Koenning, Pilar Mata Dupont, Tom Nicholson, and Elvis Richardson. In the following short documentary, Charlie explains what she photographed and why. Miriam Charlie MY COUNTRY NO HOME from Rhett Hammerton on Vimeo. Miriam Charlie, a liaison officer with Waralungku Arts Center, was awarded second place in the Aboriginal Arts Worker Photography Competition. (Read additional information about that competition.) Her photographs have been exhibited at Alcaston Gallery, Melbourne, and the nonprofit Desart, Alice Springs. View Waiting patiently, one of Miriam Charlie's photographs at Desart (2015 Art Worker Photography selections). Also see her images Quade and Chase and Johnny sitting by the river. 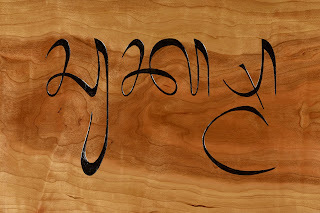 I first wrote about The Endangered Alphabets Project in 2011. (See my post of August 22, 2011, "The Endangered Poem Project".) The nonprofit project's work is ongoing. 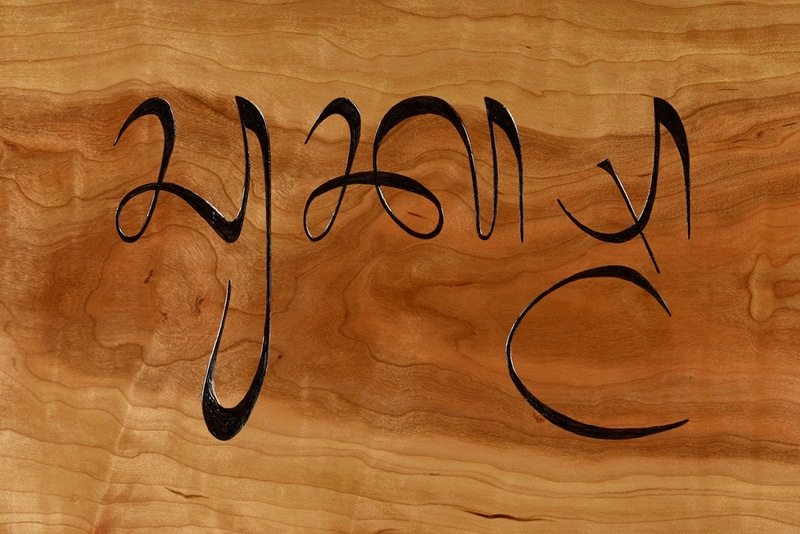 Since 2009, founder and writer Tim Brookes has crafted more than 100 carvings, representing nearly all the world's endangered scripts, displayed and spoken about his carvings throughout North America, and helped to create classroom materials in endangered languages — everything from individual words, to rubber alphabet stamps, to alphabetic wall charts — for indigenous children in Bangladesh. 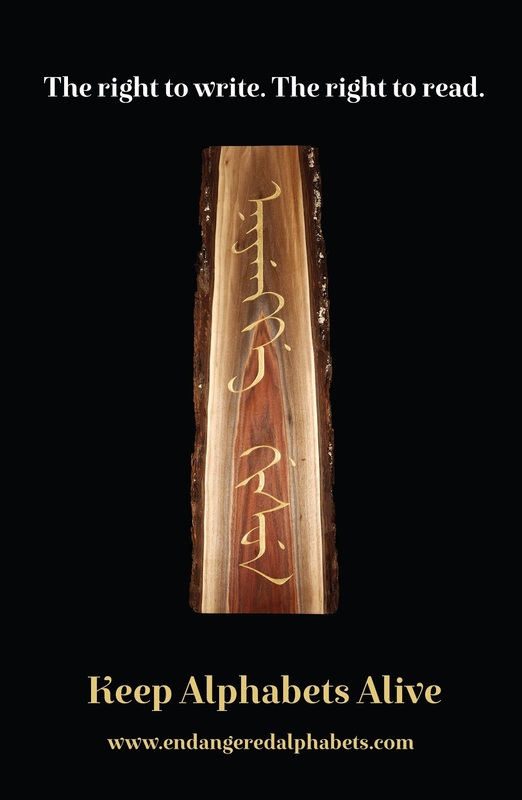 (View the gallery of carvings and furniture.) 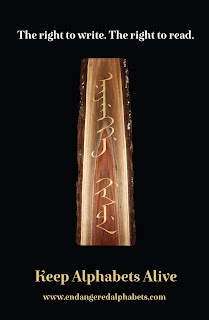 More recently, Brookes has sought to address cultural erosion and loss by carving in traditional, minority, and indigenous scripts a selection of poems, aphorisms, spiritual texts, and individual words and letters. Now Brookes, whose work receives no institutional or foundation monies, is undertaking an important Kickstarter campaign to raise $15,000 for an ambitious exhibition in the United States of a major collection of carvings for International Mother Language Day, which will next take place on February 21, 2017. The exhibition, the site for which is not yet determined, is intended to "raise awareness of the importance of allowing every culture the right to speak, read, and write its own language." At the exhibition's conclusion, the carvings will be donated to cultural organizations in the countries of origin. Watch the campaign kick-off video: "The Right to Read, The Right To Write". The campaign ends July 21. Depending on the amount donated, rewards for pledges include The "Mother Tongue" poster (see image above); signed copies of the second edition of Brookes's Endangered Alphabets: An Essay on Writing; wall clocks featuring either the sinuous "E" of the Cham alphabet (see first image below) or the Tibetan phrase "graceful kindness" carved two times in a circle; signed copies of Michael Horlick's Uzbek-English dictionary; carvings of a pair of initials (monogram) of the donor's choice; and carvings in cherrywood of suksma, Balinese for "thank you" (see second image below). Suksma, Balinese for "Thank You"
Following are a few of my recommendations for recent titles and articles to add to your reading list. 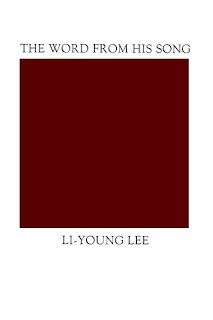 ✭ Li-Young Lee's lovely chapbook of eight new poems, The Word from His Song (BOA Editions, Ltd., 2016), was released earlier this year in a limited edition of 1,000 in celebration of the press's 40th anniversary. The collection is part of the excellent BOA Pamphlet Series begun in 1978. As of this writing, copies are still available from the publisher. ✭ In her thoughtful interview at Michigan Quarterly Review, Jenni B. Baker of The Found Poetry Review talks about erasure poetry, at which she herself excels, the OuLiPo project, and the journal she founded and heads. Read Ryo Yamaguchi's "The Riches of Erasure: An Interview with Jenni B. Baker". ✭ This spring, Portland, Oregon-based Tavern Books published Piotr Florczyk's translations of Anna Swirszczynska's Building the Barricade, a collection of poems about the Warsaw Uprising of 1944. The collection, in both Polish and English, is introduced by Eavan Boland, who describes it as "a masterpiece of concision and a breviary of comfortless images." Swirszczynska (1909-1984) was a member of the Polish Resistance and a military nurse. 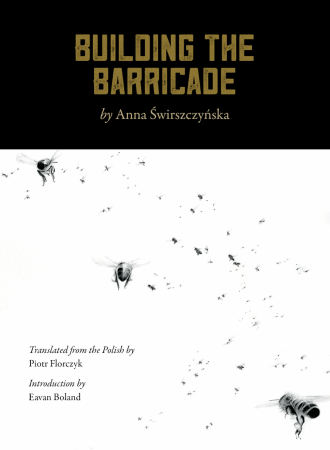 Her spare, matter-of-fact poems speak to the enormous destruction and suffering that Swirszczynska witnessed and that left "the earth and the sky / . . . silent". The toll of violence and loss rightly leave a reader deeply unsettled. ✭ "There's help for the poem that ends with a whimper instead of a bang," says poet and publishing maven Diane Lockward. Diane joins a number of other poets at Adele Kenny's blog, The Music In It: Adele Kenny's Poetry Blog, in offering excellent suggestions for "Bringing a Poem to Closure". ✭ The second edition of Philip Metres's award-winning, book-length poem A Concordance of Leaves was published by Diode Editions. 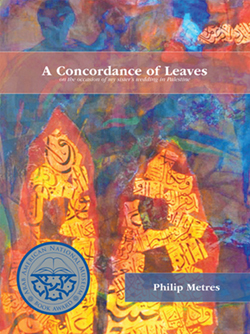 Meant to mark the occasion of his sister's wedding in Palestine, Concordance demonstrates Metres's great skill in conveying historical, cultural, political, religious, and familial differences while remaining open to the possibilities of bridging what divides. His is a sensitive, forgiving, ultimately hopeful voice. I also recommend Metres's Sand Opera (Alice James Books, 2015) and abu ghraib arias (Flying Guillotine Press, 2011). Most recently, he published Pictures at an Exhibition (Akron Poetry Series, 2016). ✭ At Claremont Review of Books, A.M. Juster makes "The Case for Dana Gioia", calling his 99 Poems "an important collection by an important poet." Gioia currently is California's Poet Laureate. Earlier this year he was awarded Image Journal's Denise Levertov Award.
. . . Forgiveness is for you. Forgiveness is growth. you stagnate. You will never grow. . . .
* Felicia Sanders is the mother of Tywanza Sanders, one of nine persons killed by Dylann S. Roof one year ago at Emanuel AME Church, Charleston, South Carolina. May we also remember the 53 wounded and 49 murdered in Orlando one week ago today. Today's short features the performance poet/rapper, novelist*, and playwright Kate Tempest, who also is the first person under 40 to receive the Ted Hughes Award for innovation in poetry (2013). The short demonstrates why she's become a sensation. Read Sam Wolfson's article in The Guardian, "Kate Tempest: The Performance Poet Who Can't Be Ignored". Also see Claire Armistead's article "Kate Tempest Wins Ted Hughes Poetry Prize for 'Spoke Story'". * Tempest's debut novel is The Bricks that Built the Houses. (See Waterstones for a signed limited edition of the 2016 book.) Her full-length poetry collection Hold You Own (Picador) was published in 2014. ✦ Photographer and 2003 Guggenheim Fellow Tanya Marcuse has produced this year a new, large color series: Woven; she shot the photos in New York's Hudson Valley. Selections from Woven, as well as Fruitless and Fallen, are on view through July 31 in the Project Gallery at The Frances Lehman Loeb Art Center at Vassar College, Poughkeepsie, New York. Be sure, too, to see Marcuse's Website images of wax agricultural models (Bountiful), wax anatomical models (Wax Bodies), and undergarments, armor, and museum forms (Undergarments & Armor). ✦ Harvard has released a video, "A Flower Facelift in Glass", showing how Glass Flowers in the Harvard Museum of Natural History have been restored. (The video was posted last month at the Botanical Art & Artists blog.) The Glass Flowers Collection re-opened May 21, 2016. A book titled The Glass Flowers at Harvard (Harvard University, 1992) is still available, as is Drawing Upon Nature: Studies for the Blaschkas' Glass Models (Corning Museum of Glass, 2007). ✦ A brief feature on the watercolorist Lilias Trotter, the subject of the excellent documentary Many Beautiful Things: The Life and Vision of Lilias Trotter, appeared in The New York Times in mid-May. Read "An Artist Rediscovered After a Missionary Life". See my post "Lilias Trotter: Painter and Missionary" for information about the film (the trailer is in the post) and selected resources on Trotter. 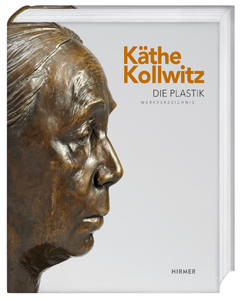 ✦ Annette Seeler has published Kathe Kollwitz: The Sculptures — Catalogue Raisonne, Part One (Hirmer, 2016), in German (see cover image below). In addition to the print edition, the catalogue is online and may be downloaded. ✦ Art21 has been posting on its blog a series of creativity exercises for children. Read "Museums: A Critical Exploration", in which fourth-grade students visit the St. Louis Museum of Art. One activity, designed to help students understand the importance of diversity, included watching the Kerry James Marshall video below. ✦ My June 16 Artist Watch column at Escape Into Life featured the superb work of draughtsman Alexander Landerman. 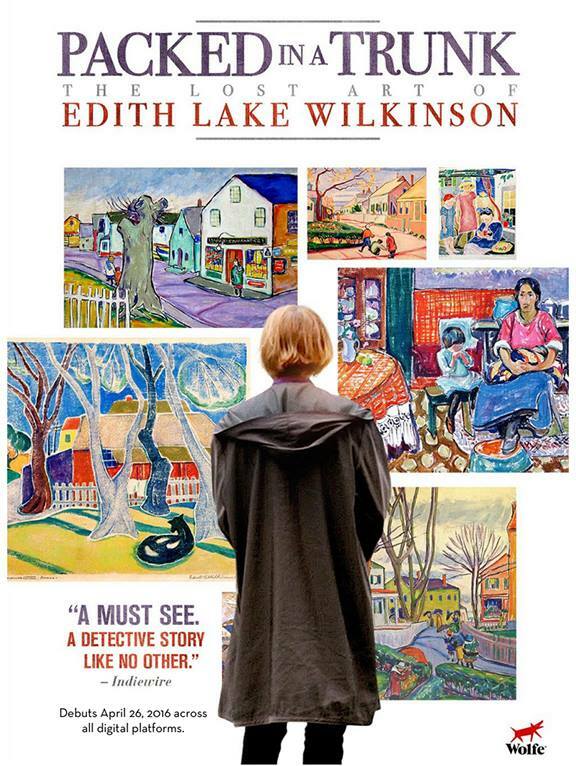 ✭ West Virginia's Huntington Museum of Art is presenting "A Talent Forgotten: Art of Edith Lake Wilkinson", July 2 to September 18. Huntington is the first art museum in the state to own some of Wilkinson's work; moreover, the show is the first major Wilkinson exhibition in almost a century. As well, it is the first to bring together so large a number of her paintings. An illustrated catalogue is available. 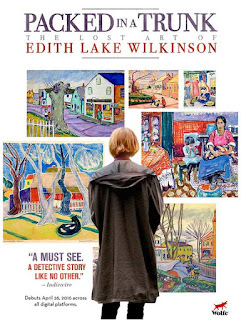 Wilkinson, who was born in Wheeling and died in Huntington, is the subject of the documentary Packed in a Trunk: The Lost Art of Edith Lake Wilkinson (Michelle Boyaner and Jane Anderson, co-writers and executive producers), which will be shown at the museum August 23. See the film trailer in my All Art Friday ("Spotlights" section) dated May 20. ✭ In Washington D.C., Joan Hisaoka Healing Arts Gallery continues through July 15 "Gretchen Feldman | The Healing Studio", the first annual exhibition commemorating an artist or artists and their artistic responses to their experience of cancer. Feldman, a painter and textile conservator died of lung cancer in 2008. Partnering in the exhibition are Sam Feldman, husband of Gretchen Feldman for 53 years and founder of National Widowers Organization, and American Visionary Art Museum (AVAM) founder and director Rebecca Hoffberger. 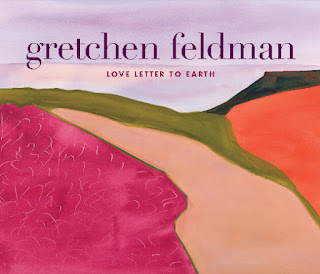 A panel discussion, "Turning Grief Into Healing", including Sam Feldman, is slated for June 18 (tomorrow), 3:30 p.m. - 5:30 p.m.
A full-color catalogue, Gretchen Feldman | Love Letter to Earth (see image below), that accompanied a 2012-2013 exhibition at American Visionary Art Museum, Baltimore, includes a selection of Feldman's watercolors. 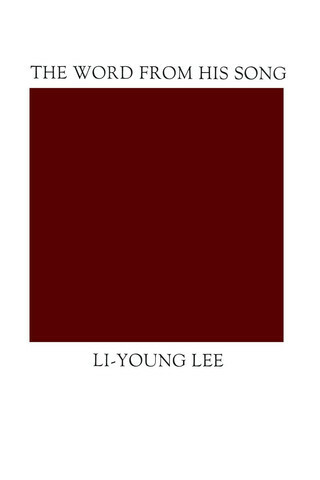 The catalogue (from the artist's estate) is available through Blurb. 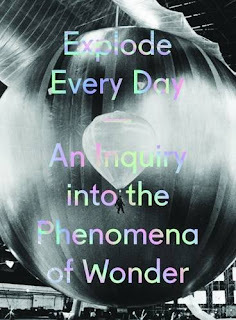 The catalogue (Prestel, August 1, 2016; see image below) that accompanies the exhibition features essays on the history of wonder, wonder and psychology, literature, science, and unusual natural and paranormal phenomena, as well as artist interviews and special artist projects. Contributors to the catalogue include clinical psychologist and author Kay Redfield Jamison, writer/blogger Maria Popova, graphic designed Stefan Sagmeister, poet Mary Ruefle, and filmmaker San Green, among others. The exhibition will continue through March 2017. ✭ The Museum of Art at Middlebury College, Middlebury, Vermont, has mounted a show of Paul Strand's photographs of New England. Continuing through August 7, "Paul Strand in Vermont: 1943-1946" features more than two dozen silver gelatin prints, 28 of which have been loaned by the Philadelphia Museum of Art. Also on view is a Deardorff 8" x 10" large-format view camera that Strand used. ✭ Continuing through August 28 at Noyes Gallery at Seaview, Noyes Museum of Art, Galloway, New Jersey, is "Diane Tomash: Plein-Air Paintings and Prints". The prints are monotypes. Tomash is a Noyes Museum Associate Artist. I'm especially pleased to showcase for this month's Artist Watch at Escape Into Life the outstanding ink drawings of Alexander Landerman of Stevens Point, Wisconsin. A freelance artist and arts educator, Alexander has exhibited extensively throughout Wisconsin and has received many awards for his exceptional work. Through his drawings, he says, he hopes to engender a sense of individual and collective social responsibility for animals, insects, and plants and reestablish a connection between the natural world and our consumption of its gifts as food sources. Today's Artist Watch features eight of Alexander's remarkably detailed ink and graphite drawings on paper (plus a close-up; a first look is not enough), his Artist Statement, a biography, and links to social media, including Alexander's Etsy Shop. Collectors, take note: Alexander's work currently is very affordable. Today, Wednesday Artist brings you Art of Gold, an excellent short film from RTDocumentary about the St. Petersburg Academy of Fine Arts, the oldest art school in Russia. (It was established in 1757.) Attracting students from all over the world, it is said to set the gold standard in teaching classical art. RTDocumentary is an English-language channel about Russia. Browse its list of films on the arts and culture. Below are a number of items related to poets and poetry. ✦ Former North Carolina Poet Laureate Joseph Bathanti is spearheading the Appalachian Veterans Arts and Humanities Collective, an extension of his long involvement in literary projects for veterans. The collective comprises a working group of Appalachian State University employees (Bathanti is a professor there) and students; in partnership with other veterans groups and departments across ASU's campus, it fosters ongoing arts and humanities workshops, events, and programs for veterans and their families in surrounding counties and state-wide. Helping to launch the collective this month is former U.S. Army captain Matt Gallagher, author of the novel Youngblood (Atria/Simon & Schuster, February 2016), the Iraq memoir Kaboom (Da Capo Press, reprint 2011), and Fire and Forget: Short Stories from the Long War (Da Capo Press, 2013). Gallagher participated in yesterday's writers workshop for student and community veterans and is giving a public reading tonight on campus. The 7:30 p.m. reading, free and open to the public, includes a reception and book-signing. See "In Residence: Matt Gallagher, Iraq War Veteran and Author", for more information. ✦ The Cambridge Poetry Teaching project is undertaking interdisciplinary research on the effects of poetry memorization and recitation and how poetry might best be "embedded within pedagogy". The Leverhulme Foundation is funding the research. Begun in 2014, the project will conclude in 2017. See Poetry and Memory Project to learn more. Read an interview with the filmmakers Angela & Ithlye of Los Angeles: "Imagination Triggered by Reading". ✦ If you're trying to get published, take heart. Vermont resident Jean L. Connor published her first collection of poetry (A Cartography of Peace) at age 86, her second (A Hinge of Joy; Six over Sixty Series) at age 90. 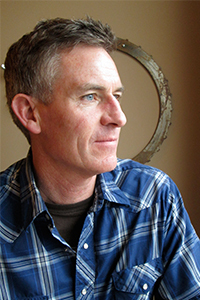 Connor, who credits William Stafford as an influence, works with Passager Books, which was founded in 2006 and makes its mark as a publisher of writers over age 50. Listen to a conversation with Connor at Vermont Public Radio. ✦ The nonprofit Sun Dog Poetry Center, Jeffersonville, Vermont, offers a series of "Conversations with Vermont Poets", from February through September. This year's lineup includes Chard deNiord, Jean Connor, Geof Hewitt, Tina Escaja, Verandah Porche, Cleopatra Mathis, Jody Gladding, an Sydney Lea. The center also publishes work by Vermont poets; its titles to date are Water Journeys in Art and Poetry, Vermont Exit Ramps II, Tapping the Center of Things, and Nothing Saved Us: Poems of the Korean War. ✦ Read Virginia Poet Laureate Ron Smith's poem "What a Rush", dedicated to the late Claudia Emerson (1957-2014). ✦ The deadline for Narrative's 8th Annual Poetry Contest is July 20. See the guidelines, which indicate that Narrative is "always looking for new voices". Monetary awards are offered for first, second, and third place winners, as well as up to 10 finalists. Idaho's new Writer-in-Residence is Christian Winn. The successor to Diane Raptosh (2013-2016), Winn begins a three-year term on July 1. His appointment was announced May 20, 2016. Awarded an annual stipend, Winn is to give four annual readings, eight of which are to be in rural communities. A Writer-in-Residence may be reappointed to a second, nonconsecutive term but no longer may receive an Arts Commission fellowship in literature. For additional information about qualifications and requirements of the position, see my post about Brady Udall (2010-2013). Literary periodicals that have published Winn's fiction, poetry, or journalism include Bat City Review, Boise Journal, Chattahoochee Review, The Chicago Tribune Printers Row Journal, Every Day Fiction, Gulf Coast, Hayden's Ferry Review, Greensboro Review, McSweeney's, Ploughshares (see the Summer 2015 issue), and Santa Monica Review, as well as The Boise Weekly, The Idaho Statesman, and Idaho magazine. Founder of the fiction workshops series Writers Write, co-founder in 2014 of Storyfort, and curator of "Campfire Stories", a monthly reading series, Winn is an adjunct professor at Boise State University and an instructor for The Cabin, which offers writing camps and conducts a Writers in the School program.